Social media, PPC and content are all well-known and effective marketing methods. But do you know how important email is as a marketing channel? With over 2.5 billion people using email worldwide, it’s certainly a channel you should be using for your business. 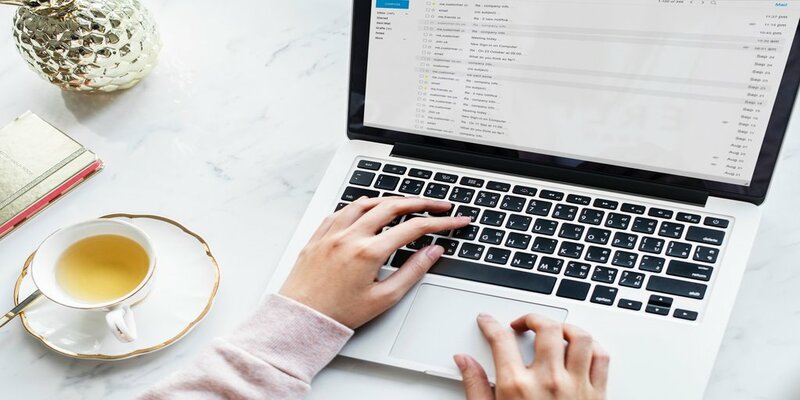 But that’s not all – these are the top four reasons why you need to include email marketing in your business strategy. Aside from raising brand awareness, one of the most important functions of marketing is to turn new and existing customers into paying customers. Email marketing is the perfect channel for the job. On average, emails are 6 times more likely to get a click through than social media channels, with email receiving – on average – a 3% click through rate (CTR), compared to a 0.5% CTR from social media channels. And, with a higher number of clicks, conversions will naturally increase too. Additionally, using email marketing to promote new products and promotions, the conversion rate will increase further. Perhaps one of the most attractive perks of email marketing is that it’s cost-effective. While PPC and social media ads can soon add up, email marketing costs generally remain low, providing a high return on investment (ROI). In fact, studies have shown that average ROI for email marketing is a whopping 122% – four times higher than any other digital marketing channel. With segmentation and triggered campaigns, you’re able to send highly personalised, relevant emails to your customers. This high-level of personalisation drives more customers to click through and make a purchase, thus, increasing the ROI for the campaign. Email marketing incredibly easily to measure. Although blogs and social media channels do drive conversions, it’s a lot harder to measure their conversion rates than it is with email marketing. People will often read blogs, or see something they like on social media before heading to the website to purchase it – instead of purchasing it directly through the shoppable links. Whereas, with emails, people are more likely to directly click through to the products and purchase them from there. Additionally, it’s also possible to access other metrics, like open rates, clicks, social shares and the number of people who forwarded the email – making it easy to implement changes to improve future campaigns based on the findings. One of the main reasons why email marketing is so effective is because it’s able to be highly personalised according to the customer, their likes, dislikes and shopping behaviour. By providing customers with personalised, relevant content, you increase your chances of driving conversions. Studies have shown that emails which use a customer’s’ name in the subject line have a larger open rate and click through rate than emails which don’t use their name. Additionally, segmentation is another way you can personalise emails to increase conversions. Segmentation allows you to divide your list of subscribers into different segments based on similar interests, locations and shopping habits – to name a few. Dividing your customers into different segments ensures that you’re only sending relevant content to them, which will decrease unsubscriber rates and increase conversion rates – making it one of the most important features of email marketing. From increasing conversion rates to providing a high return on investment, email marketing can have a dramatic impact on your business. It’s certainly one marketing channel worth including in your digital marketing strategy. What impact does duplicate content have on SEO?